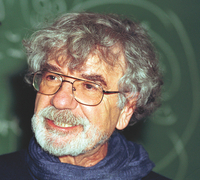 Humberto Maturana is a Chilean biologist. Many consider him a member of a group of second-order cybernetics theoreticians such as Heinz von Foerster, Gordon Pask, Herbert Brün and Ernst von Glasersfeld. Is this you? Let us know. If not, help out and invite Humberto to Goodreads.